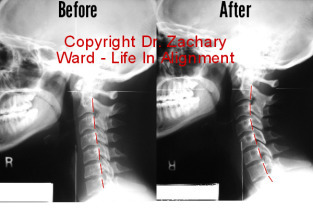 Should you work with an upper cervical chiropractor. Or not? Besides the results, what about the subtle stuff, like how you are treated in the office? Here are a few things I think about as a provider of upper cervical chiropractic care, and as a consumer of this healing art. Every person who comes through the door gets an opportunity to offer feedback on their chiropractic care. The comments vary, but the most common statement on what people like about my service is that they feel like I care. (I do.) And that their chiropractic care is personalized, and individual to them. There are places where you can be treated like you are a number, where it feels like everyone is going through the motions. I hate being treated that way, so I don’t practice that way. This might be your first chiropractic experience ever. Or you may be on your sixth doctor in the last year trying to find answers to a serious problem. You might be exploring concepts like wellness and healthy aging. Or you might be desperately clinging to some hope for relief. It doesn’t matter where you are, as long as you are ready to experience a change for the better and you have faith that improvement is possible. The body is complex. There are so many different angles to look at you. Doctor #1 wants to look at your hormones. Doctor #2 wants to look at your joints. Doctor #3 wants to look at your heart rhythms. And Doctor #4 wants to monitor what you put in your mouth. No matter what your age, gender, national origin, or what kind of car you drive, when the nerve system is stressed you do not respond to the demands of life as efficiently as you could. Until you experience an upper cervical chiropractic correction changing the way you move, feel, think, and act, you just haven’t tried everything in health care. I don’t have the answer to all the world’s problems. But I do have a pretty good idea why there’s a lot of unnecessary suffering, (including in people who do all the right workouts, read all the right books, and eat all the right foods) and a lot of that unnecessary suffering has to do with the body trying to overcome the accumulation of previous injury. If you want the truth about how the spine and the nerve system relate, and how it relates to your health, then you are in good company, because I do too. You are the victim in a story you are writing about your life and you are not open to change. It is called the victim mentality. Just because bad things have happened to you doesn’t mean you have a victim mentality. And just because you might struggle with questions of why things have happened the way they do doesn’t mean you have a victim mentality. The victim mentality is a learned way of coping with stress…And unfortunately it’s not a very good one. People with a victim mentality are constantly complaining, looking to blame others for anything bad that might happen, and they feel absolutely powerless to change anything about their lives. At some point, we all feel like a victim. But we usually snap out of it in a couple of days or months, and move on. The victim mentality, though, takes root and stays. Feeling like victim all of the time leads to depression, the suppression of the immune system, sleep disturbance, and chronic pain. Often it is very, very hard for persons with a victim mentality to get better until they acknowledge that they feel powerless. As soon as someone with victim mentality is ready for a positive change in their life, then healing is possible. If you recognize yourself as someone with a victim mentality, then getting help from a mental health professional may be your first step in your journey. Upper cervical chiropractic care should be a close second.